Picture CD in jewel case with sixteen page colour booklet. This copy of the album was given away with the Belgian paper DeMorgan and the Dutch paper De Volkskrant on the 14th August 2010. It was part of the Legendary Live Concerts series in which a live album was given away by the newspapers every week. A blue box could also be purchased to house each of the twelve installments. Live In The City Of Light was number eight in the series. 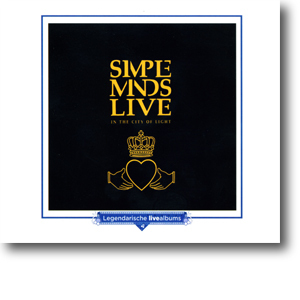 It was simply the standard remaster double CD package of 2003 with a custom Legendary Live Concerts slip-card sleeve.